With the festive season upon us, many HR professionals have been tasked with planning the perfect holiday party. While these parties are a good time to thank employees for a job well done, XpertHR pointed out that such celebrations may carry a great deal of risk for employers – from claims of religious discrimination and sexual harassment to drunk driving. Remind everyone that workplace policies regarding discrimination, harassment, employee dating, employee conduct and its dress code will remain in effect even during the holiday party, and employees as well as supervisors will be liable for violations. Leading by example is the best way to get employees to follow the rules. Get supervisors to lead the way and set a good example for the rest of the employees by enforcing and complying with policies regarding discrimination and harassment as well as the employer’s code of conduct. Excessive consumption of alcohol can result in myriad issues such as car accidents, injuries, discrimination, harassment and inappropriate and offensive conduct. If your organisation decides to serve or allow alcohol, a management employee should be designated to monitor alcohol intake and make sure employees do not become too intoxicated or incoherent. In planning for any holiday party, it is important for employers to avoid overly religious symbols such as Christmas trees, nativity scenes and mistletoe when it comes to party decorations and avoid overly religious music. 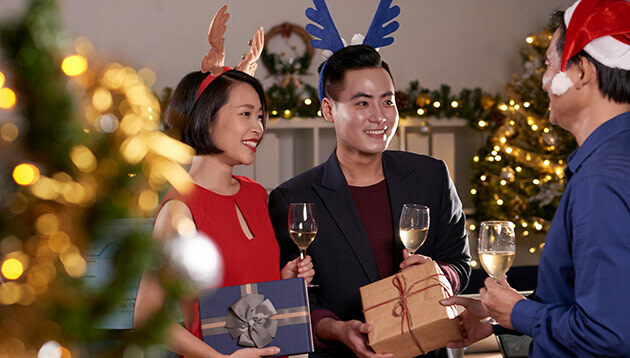 Some employees may not want to attend the holiday party and if attendance is mandatory it may be considered working time and hourly employees may be entitled to overtime. Make sure to take the individual needs and concerns of diverse employees into account. For example, if any of your employees are vegetarians, ensure that vegetarian options are available. While not all employees will want to attend the party, as an employer, you should still invite all employees to the party – from those working in the various offices or job sites and even employees who telecommute or work remotely. Remember to be inclusive of all employees and respect their personal relationships. Once on notice that an employee is complaining of discrimination, harassment or inappropriate conduct, the employer and HR have a legal duty to follow up and document the complaint and begin an investigation if warranted. Beth Zoller, legal editor, XpertHR, commented: “Even though the event may be held away from the employer’s premises and during what is generally considered to be nonworking hours, the employer should reiterate that the same policies are in effect and that employees should treat each other with respect and common courtesy. Recruiters will have a hard time filling sales roles in the insurance industry, as graduates want to be teachers and social worker..